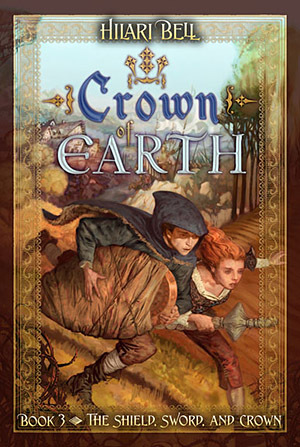 The third installment of this beautifully written fantasy trilogy picks up right after the cliff-hanger ending of Book Two, with Prince Edoran determined to rescue his friend Weasel, who has been kidnapped in Edoran’s place. Edoran’s journey is fraught with challenges as he attempts to hide his identity and learns for the first time the real meaning of hard labor and the cost of a meal. The action builds to a stunning climax, in which the true nature of the magical objects of Deorthas is at last revealed. Fans of acclaimed fantasy author Hilari Bell will not be disappointed!